Breathing Technique and the Performance Flag List! Instruction this week centered on newly updated versions of Joe's handouts: Harmonica Breathing Guide, Performance Flag List and General Wisdom from Filisko. These handouts consolidate valuable technique suggestions that will keep you on the right track in your playing and practicing. Get copies from Joe if you missed class and spend time going over them! Chicago Blues Harp Bash #2 This Week! Get your tickets now because they're going fast! There will be a few available at the door, but don't count on it. It's going to be a great show. 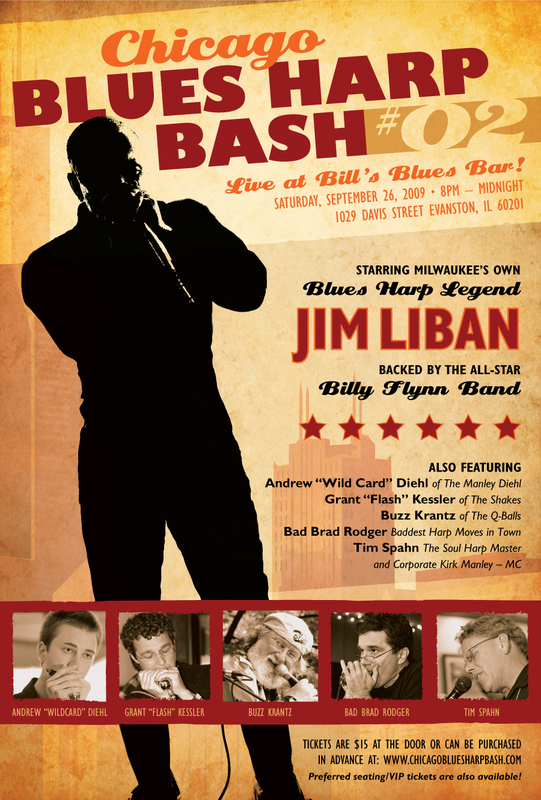 The Chicago Blues Harp Bash showcases five local harp players: Andrew Diehl, Buzz Krantz, Brad Rodger, Grant Kessler and Tim Spahn, all backed by the amazing Billy Flynn Band. Following their performances will be our headliner, Jim Liban! 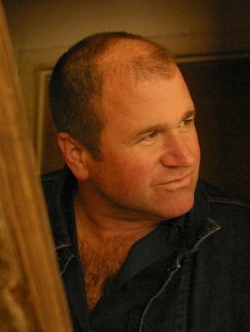 The family of the late, great Gary Primich has updated Gary's website with lots of new info. There are Cathi Norton interviews and even a plug for our upcoming Harp Bash! Gary was a very special part of the B1 Blues family so be sure to check out all the new info in the Tour, Links and Lore sections. Click here. You've got homework! October 5, 26 and November 2 -- Joe will be away but group classes will continue as usual with Shoji Naito teaching. Level Four students should review and practice chord and bassline techniques. Follow this link.